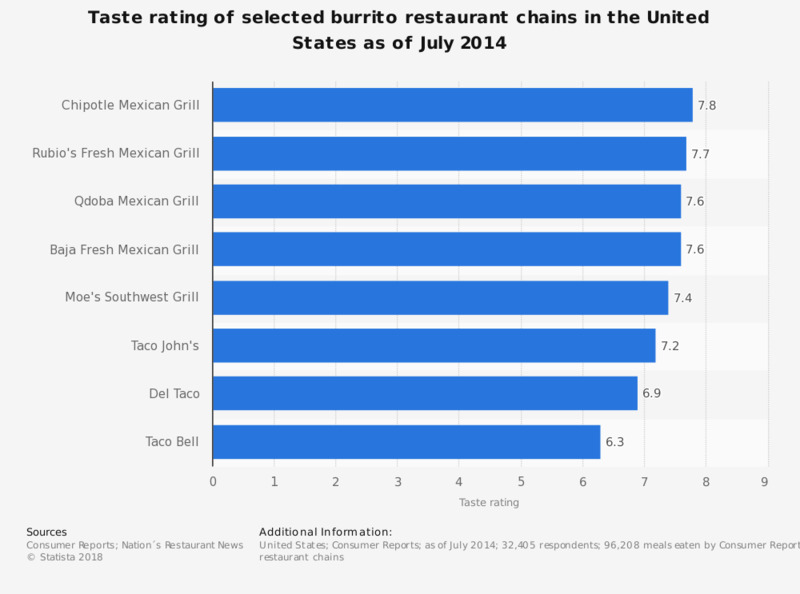 This statistic shows the taste rating of selected burrito restaurant chains in the United States as of July 2014. During the survey, consumers gave burrito restaurant chain Qdoba Mexican Eats a taste rating of 7.6 out of 10. In 2015, Qdoba Mexican Eats, generated over 374 million U.S. dollars in company-owned restaurant sales. The survey posed the question: "On a scale of 1 to 10, from least delicious to most delicious you’ve ever eaten, how would you rate the taste?"